Every year starting from the early July to late October a 10 days Masai Mara migration safaris in Kenya is organised to let tourists experience over a million wildebeests and Zebras followed by the big cats cross over the rolling plains of the Masai Mara setting the most spectacular marvel of mother nature that cannot be witnessed in any other part of the world. 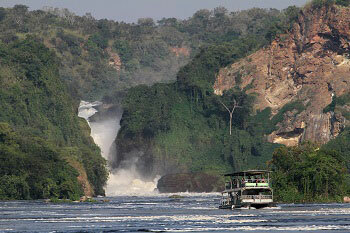 This undoubtedly becomes the best times to visit Africa. The selected 10 days Masai Mara Migration Safari will show you this and more as you visit the premier parks and game reserves of Kenya. First we will head north to the lush forest of the Aberdare mountain range, where we will spend our time observing the many forest species that come to the waterhole. From the Aberdare we will head north to the famous Samburu/Buffalo Springs game reserves. Here we will experience the beautiful dry northern country, which is home to wildlife only seen north of the equator: namely grevy’s zebra, Beisa oryx and reticulated giraffes. Other residents are Gerenuk gazelle, the Somali ostrich, ‘big five’, and the more common Savannah game, from Samburu our journey now heads back south with one night spent at Sweet waters luxury tented camp situated on the equator and one night Lake Nakuru national park famous for its spectacular bird life hence making our 10 days Masai Mara Migration Safari great. The last part of our Safari takes us to Masai Mara, where the wildebeest migration will be taking place. Literally, millions of wildebeest and zebras move north from the plains of Tanzania’s Serengeti Savannah during July and August in search of the lush grass. As the vegetation and water holes are dry therefore the herds start the trek to the north following the rain pattern they cross the Tanzania/Kenya border to the rich Kenyan Masai Mara in search of the 4,000 tons of grass they eat each day. By September and early October they start winding their way back to Tanzania hence creating a famously known to be the Masai Mara Migration Safari in Kenya. The sight of the mass migration is awesome. Many do not survive this trip as they expire from exhaustion and injury or fall prey to hungry crocodile in the struggle to cross the Talek and Mara rivers. As the migration unfolds, the wildebeest, zebra and gazelle are trailed by the predators:- Lion, Leopard, Cheetah, Hyena and Scavenger birds. It is an event one cannot afford to miss hence book for our 10 days Masai Mara Migration safari in Kenya as you will witness the world’s great migration. On your arrival in Nairobi, you will be met and greeted with our guides hence escorted to Stanley Hotel in the heart of the city. You will be assisted with check-in procedures. Rest of the afternoon is spent on a Nairobi orientation sightseeing featuring visits to Nairobi’s principal landmarks, the Parliament buildings, and the capital hill to have a panoramic view of Nairobi. Situated in the New Stanley Central Highlands at an altitude of 6,130 feet (1,870 M), Nairobi enjoys a mild climate. On our driving tour of the city and it’s surroundings we will see Uhuru Park, Kenya’s Parliament House, the Kenyatta Conference Center, City Square and some of Nairobi’s nicest suburbs. We visit the Kenya National Museum with our guide to learn about Kenya’s wildlife, geology and human history. This evening, we assemble for a safari briefing before proceeding to the famous Carnivore Restaurant for a mouth-watering barbecue “Welcome to Kenya” dinner. Return to your city hotel for overnight. Dinner is included hence making the whole process of our 10 days Masai Mara Migration more interesting. [Dinner, Bed & Breakfast]. 10 Days Masai Mara Migration Safaris in Kenya begins with the thrill of overnight game viewing in the comfort of a Tree Hotel The lush hills of Aberdare National Park are covered by Kenya’s densest forest and form the eastern flank of the Great Rift Valley. Outside the park itself we pass many ranches, coffee plantations and early European settlements. We leave our main luggage at the base hotel and continue with just our overnight bags to one of the famous “tree hotels”, deep in the Aberdares Forest. On our journey to our lodge we hope to see typical forest-dwelling animals such as the black and white Colobus Monkeys. A special feature of the lodge where we stay is the floodlit watering hole where we can watch from the lodge itself throughout the night as a great variety of animals come down to drink. Different species of animals are active during the night compared with during the day and many shy species such as rhinos will only approach the lodge at night. It is fascinating to watch their behavior around the watering hole as they take turns in drinking from the watering hole and eating the salt which is put out for them at the ‘salt lick’. In the morning we hope to have spectacular views towards jagged outline of Mount Kenya. There is also excellent bird watching from the lodge terrace into the surrounding trees. Overnight at the Treetops Lodge. Breakfast, Lunch & Dinner. Driving north we pass Mount Kenya, Africa’s second highest mountain at 17,000 feet (5,199 meters). The massive size of this mountain and its gleaming and eroded snow-covered multiple peaks means that Mount Kenya dominates the surrounding countryside and even affects the local climate. This is also the traditional homeland of the Kikuyu people, the largest of Kenya’s 40 recognized tribes. The Kikuyu believe that their god, Ngai, lives on Mount Kenya and so they build their homes with the doors facing towards the mountain, to welcome their god in. We cross the Equator again into the northern hemisphere on our way to Samburu Game Reserve in a semi-desert area of Kenya. Samburu is located on the Ewaso Nyiro River. In this dry land the forested riverbanks are excellent areas to see wildlife, as all animals congregate here to drink, especially at dusk and early in the morning. This afternoon we take a game drive in the park that makes our 10 days Masai Mara Migration safari in Kenya interesting. First of 2 nights in Samburu. Samburu Game Lodge. Breakfast, Lunch & Dinner. Early morning and afternoon game drives in Samburu Game Reserve, which covers 40 square miles (104 square kilometres).Ololokwe Table Mountain forms a dramatic backdrop to our game viewing today. In Samburu we are sure to see elephants, warthogs and buffalo, which can be seen in many of Kenya’s parks, but we should also see animals not found in other areas. These include the Grevy’s Zebra, which has much narrower and more numerous stripes than the common (Burchell’s) zebra.. Samburu is also home to the third of Kenya’s giraffe species – the Reticulated Giraffe. This is also our best chance to see the blue-legged Somali Ostrich , the long-necked Gerenuk gazelle and the straight-horned Beisa Oryx antelope. Down by the river we hope to see crocodiles and hippos, as well as many beautiful birds. Second of 2 nights in Samburu. Samburu Game Lodge. Breakfast, Lunch & Dinner. We drive back south from Samburu to the Equator and the slopes of Mount Kenya. Although situated on the Equator, Mount Kenya is permanently covered in glaciers and snow. Here we stay at the Sweet waters Game Reserve. This very special 23,000 acre wildlife sanctuary was originally established to protect and breed highly-endangered Black Rhinos. 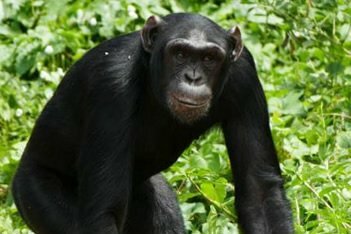 In 1994 the Jane Goodall Institute established the Sweet waters Chimpanzee Sanctuary within the game reserve and moved a large group of chimps here from the unstable situation in their native West Africa. This afternoon we have a game drive in the reserve and tour the Chimpanzee Sanctuary hence making the entire 10 Days Masai Mara Migration safaris more interesting. Overnight at Sweet waters Camp. Optional Camel Ride or a Night Game Drive. Breakfast & Dinner. This morning we drive across the equator and descend the Nyandarua Escarpment into the Great Rift Valley and visit Thomson Falls. The Valley floor in Kenya is studded with volcanoes and seven lakes. These lakes fluctuate greatly in size according to the quality of the rains during the monsoons each year, sometimes drying up altogether. Arrive in time for lunch. This afternoon we take a game drive in Lake Nakuru National Park often described as the world’s biggest ornithological spectacle. This lake is famous for its flocks of over one million Greater and Lesser Flamingos that are observed on our 10 Days Masai Mara Migration safari. The abundance of these birds is due to the alkaline mineral salts in the water, which support vast blooms of the blue-green algae and diatoms on which the flamingoes feed. As well as seeing many large game animals such as Zebras, Elephants and Gazelles, this is one of our best chances of seeing Rhinos. These highly endangered animals are the second largest land animals in the world. Lake Nakuru National Park was the first place in Kenya selected as a Rhino reserve. Here is one of the few places where we can see Rothschild’s giraffes. Overnight at Lake Nakuru Lodge. Breakfast, Lunch & Dinner. After a morning game drive, we leave for Masai Mara Migration located further south into the Great Rift Valley. The Valley floor in Kenya is studded with volcanoes and seven lakes. These lakes fluctuate greatly in size according to the quality of the rains during the monsoons each year, sometimes drying up altogether. Driving south along the Great Rift Valley we come to Lake Naivasha. Even though this lake is on the floor of the Valley, it is still situated at about 6,200 feet (1,890m) above sea level. Naivasha presents a mystery – even though the lake has no apparent outflows, its waters are fresh. The other lakes of the Valley also have only one way of losing water, by evaporation, but they are very alkaline. Because it is one of the largest sources of fresh water in Kenya, Lake Naivasha attracts a huge variety of birds in large numbers. It is a bird-watchers’ paradise. 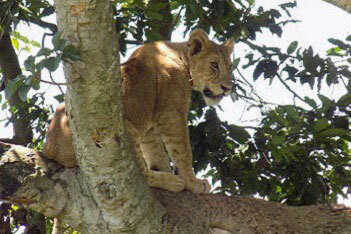 After lunch, we make our way to Kenya’s premier wildlife park – the Masai Mara. This is the northern section of the Serengeti Plain, which is home to the greatest concentration of game animals in the world. First of 3 nights in the Masai Mara. Sarova Mara Tented Camp. Breakfast, Lunch & Dinner. The vast, open grasslands of the Serengeti-Mara are home to over 3 million large mammals. These include over 1.4 million wildebeest, which migrate in an enormous, straggling herd each year between the southern part of the Serengeti to the northern part and back again. With them move other herbivores such as gazelles and zebra, also looking for the best grass. Along the way they provide food for big predators such as lions, leopards and cheetahs. Here we learn about and see first hand the intricate web of dependency that binds the different species together. Each animal has adapted to its own niche and to the other animals that surround it. Here we see Nature at its most subtle and, sometimes, most cruel as each animal struggles to survive and reproduce. On our morning and afternoon game drives in the Masai Mara we have a very good chance of seeing all the major Plain animals including Lions, Leopards, Buffalos, Elephants, Rhinos, Hyenas, Cheetahs, Jackal, Warthog and many species of Antelopes. Second night of 3 nights in the Masai Mara. Mara Serena Lodge. Breakfast, Lunch & Dinner. Our 10 Days Masai Mara Migration Safaris in Kenya will end with an early breakfast as we say ‘Kwaheri’ – a Swahili word for bye bye to Masai Mara and leisurely drive back to Nairobi, arriving at around mid-day and in time for lunch at Nairobi’s Rangers Restaurant. Day rooms have been reserved until 18:00 hrs for your comfort at Stanley Hotel. Optional Dinner at the Carnivore Restaurant – time permitting. Later we transfer you to the airport for your home departure flight having seen Kenya probably for the first time!!! This marks the end of our 10 Masai Mara Migration Safari in Kenya. Exclusive transport in a safari tour car with a game viewing roof hatch and UHF radio.